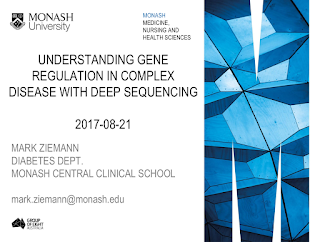 Today I gave a presentation on experiment design and use of ChIP-seq and MBD-seq to understand gene regulation. The target audience consisted of biomedical scientists with little background in genomics but were curious to incorporate deep sequencing into their studies. As always I love getting feedback - so leave your questions and comments below!